^ （英語） Research: Key Figures -UPMC - University Pierre and Marie CURIE - Sciences and Medicine - Paris. Upmc.fr (2012-05-10). 2017年5月16日閲覧. 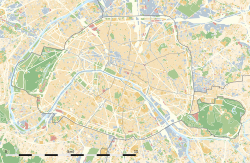 ^ （フランス語） Sorbonne University – UPMC – University Pierre and Marie CURIE – Sciences and Medicine – Paris. Upmc.fr. Retrieved on 16 June 2014. ^ （フランス語） Key University Figures – UPMC – University Pierre and Marie CURIE – Sciences and Medicine – Paris. Upmc.fr (15 August 2013). Retrieved on 16 June 2014. ^ « Alain Carpentier : La xéno-transplantation cardiaque », Le Monde, 30 décembre 2003, consulté sur www.lemonde.fr le 6 octobre 2013.